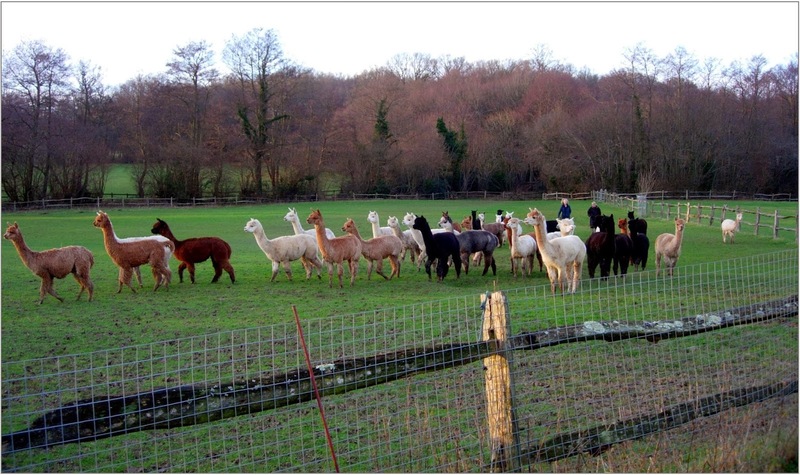 Last weekend found me on the mainland, deep in the Sussex countryside at Spring Farm Alpacas, home of Vicki & Chris Agar and their herd of prize-winning alpacas. 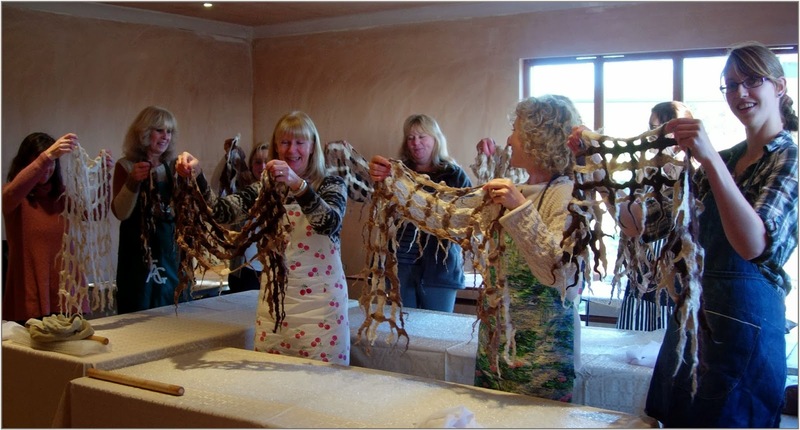 I had been invited there to hold a workshop specifically to show a group of alpaca owners how to felt alpaca fibre. 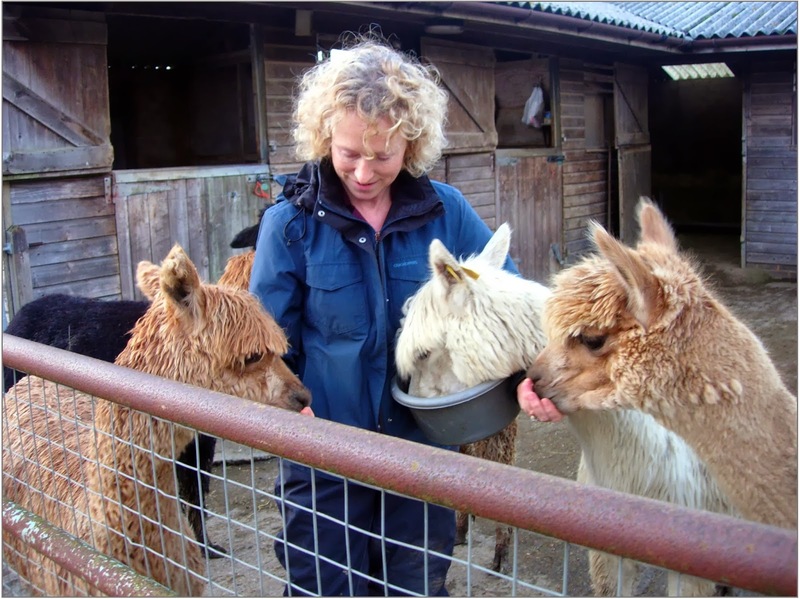 The 110 acre farm is in a wonderful location, close to the Ashdown Forest in an area of Outstanding Natural Beauty and Vicki has over 80 alpacas at the moment including many show champions. 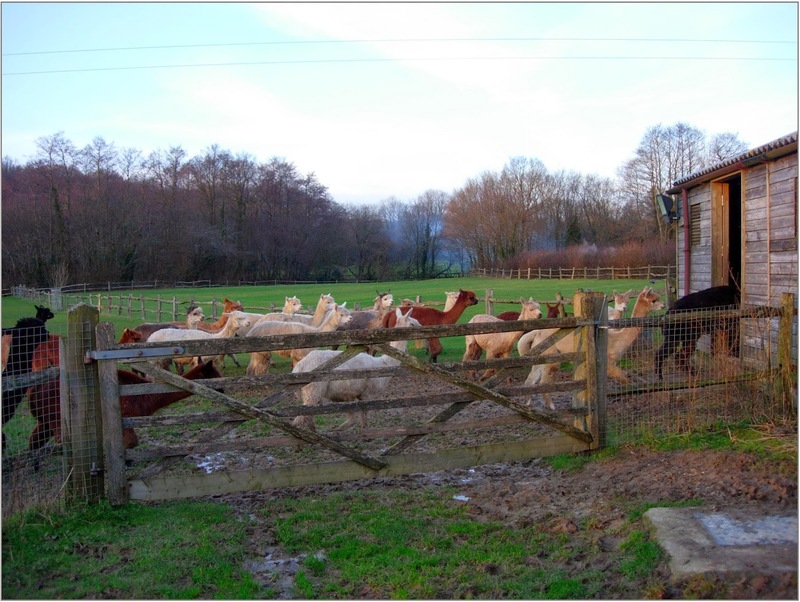 ...see the wide range of fleece colours - click on the photos for more detail. identity and character. They even respond to their own names! Vicki and her dedicated team. 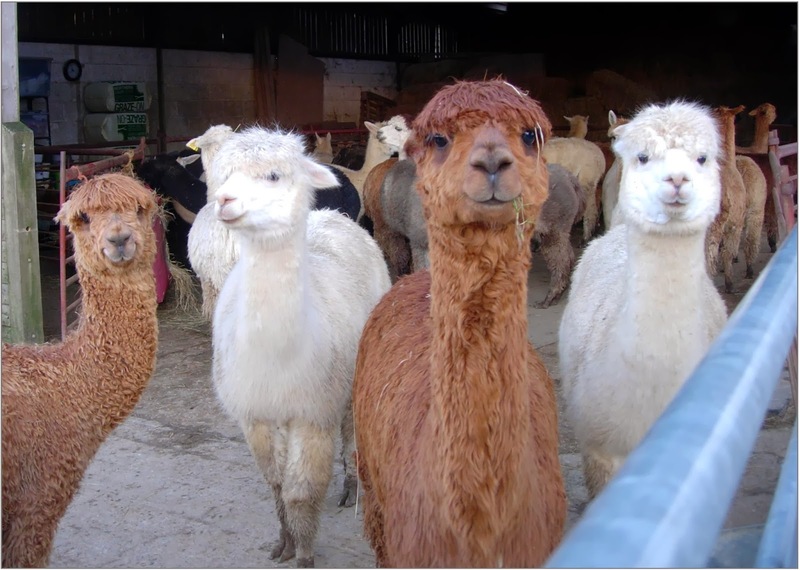 They are incredibly friendly, inquisitive and very difficult to photograph! On Sunday morning I met with a lovely group of ten enthusiastic ladies. 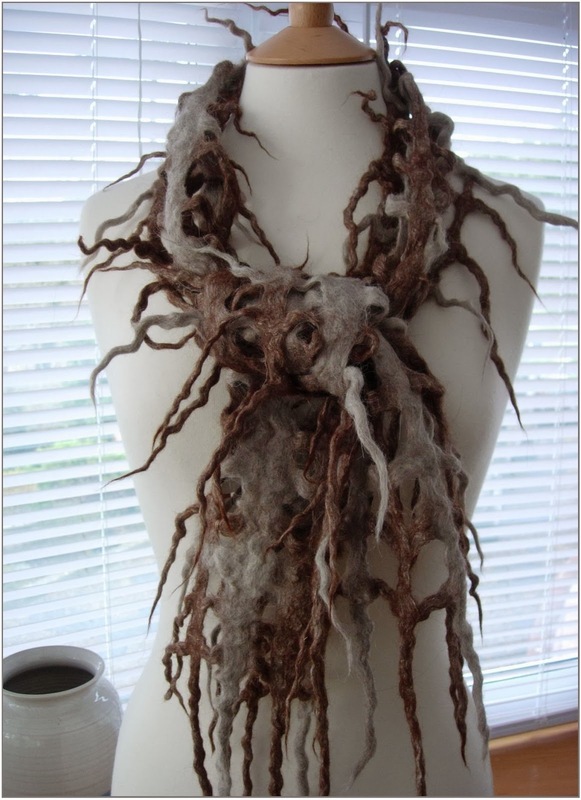 getting them used to handling the fibres. 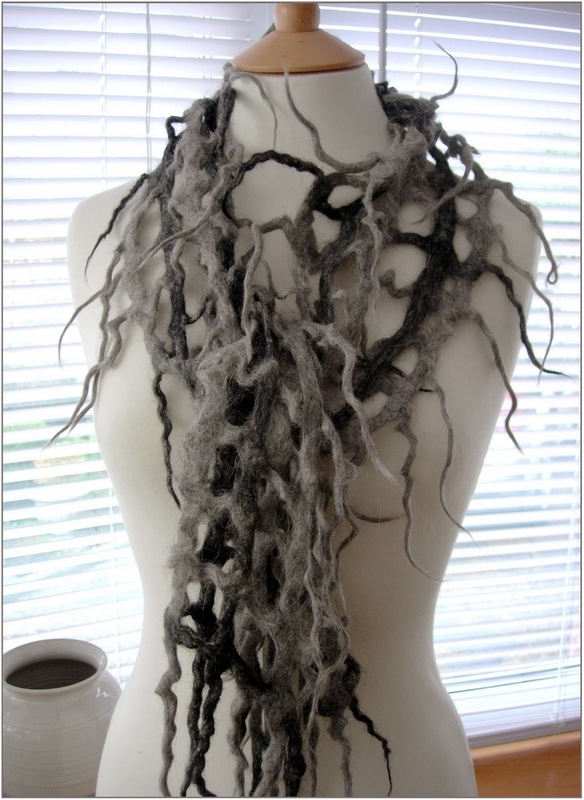 throwing and shocking the felted fibres in the final stages. Physically quite hard work, but easily achievable in just a few hours! just in need of a final rinse to remove all the soap before drying. And here are a couple I made earlier so you can see the effect when dry. and pale fawn with browns. quite reminiscent of their original owners! 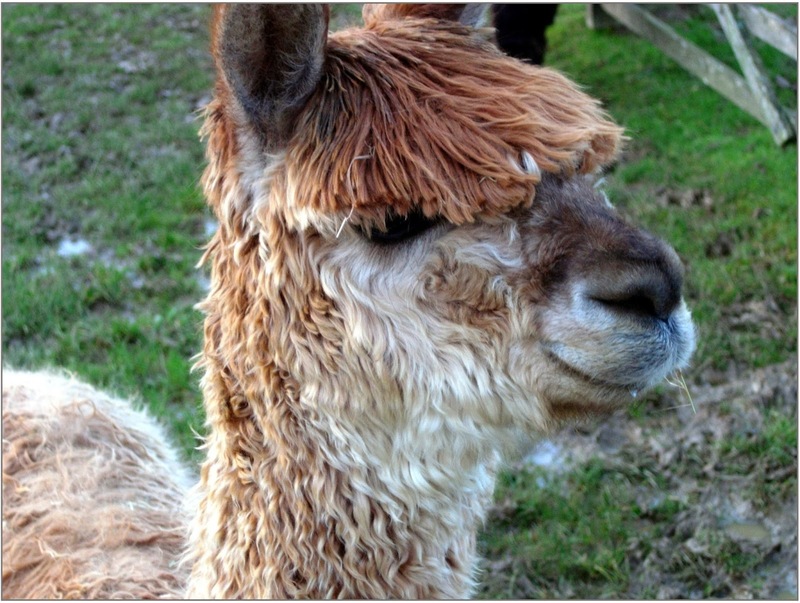 It was a really great weekend at Spring Farm Alpacas and I'd like to thank Vicki & Chris for being such generous hosts.